Look at the world in a whole new light: Hear about a view that's "out of this world" as astronaut Commander Chris Hadfield describes the photos he took of Mother Earth from 250 miles away, and what they revealed. We also explore how the Roman and pre-historic worlds are within reach when you dig a little beneath the surface in Britain. And listeners share the highlights of their travels in the Holy Land. The Council for British Archeology's website is called "Archeology for All." Wikipedia outlines Roman sites in Britain, by region. A list of metal detecting clubs in the UK. English Heritage posts a visitor's guide to Stonehenge, the best-known pre-historic site in Britain. Chris Hadfield's books, "An Astronaut's Guide to Life on Earth," and his latest photo book, "You Are Here," are published by Little, Brown and Company. They are available from the ChrisHadfield.ca website. Chris Hadfield discusses his zero-gravity music video of David Bowie's song "Space Oddity." Colonel Hadfield's videos are included on his You Tube Channel. 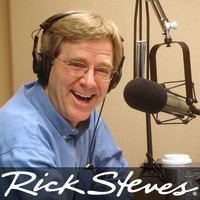 You can watch and discuss the new "Rick Steves' The Holy Land" special. Caller Allen in segment C references the book, "Hiking the Jesus Trail" by David Landis and Anna Dintaman. Birthright Israel is the program caller Artie's daughters experienced to visit the Holy Land region. Rick mentions Mitri Raheb as the well-known pastor of the Christmas Lutheran Church in Bethelehem.